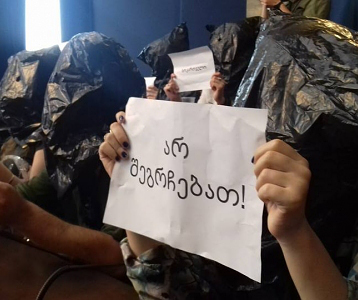 TBILISI, DFWatch–The interim owners of the largest opposition-aligned TV station in Georgia, Rustavi 2, claim that they are not planning to break into the office of the company with the help of police. But they haven’t specified when they are planning to show up at the premises. 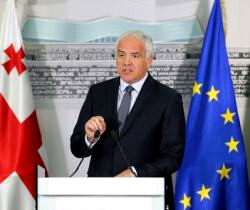 Nika Gvaramia’s ownership over the company was temporarily suspended and interim owners were hastily appointed by the Tbilisi City Court on Thursday night. 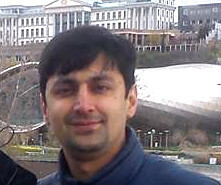 Kibar Khalvashi, businessman and a former owner of Rustavi 2 is Mr Gvaramia’s primary opponent in the dispute. 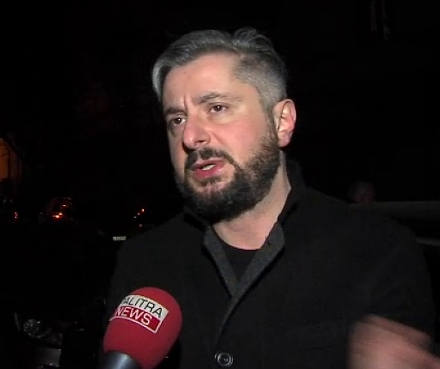 Davit Dvali, one of the founders of Rustavi 2 and one of the defendants on the side of Mr Khalvashi in the legal dispute over the ownership of the TV company said on Friday that the current owners should show a ‘good will’ and cooperate. Mr Dvali added that if he was allowed inside the premises of Rustavi 2, he would be ready to talk and answer questions. He also said that him and other interim owners were ready to meet the previous owners on a neutral territory. ‘I consider you my future co-workers. We can meet wherever and however you want. Let’s discuss all the doubts or issues you might have’, Mr Dvali added. On a joint press conference with Mr Dvali and Mr Khalvashi, Jarji Akimidze, another founder of Rustavi 2 said that they had agreed on three points of cooperation. The agreement includes a point which says that the company should disassociate itself from any political force — be it the government or the opposition. 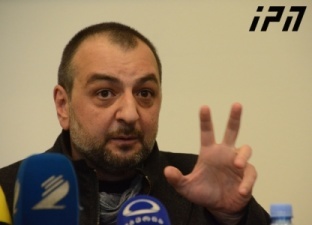 Mr Akimidze stressed that Rustavi 2 wasn’t free of political influence today, since it was under pressure of the former ruling party United National Movement. 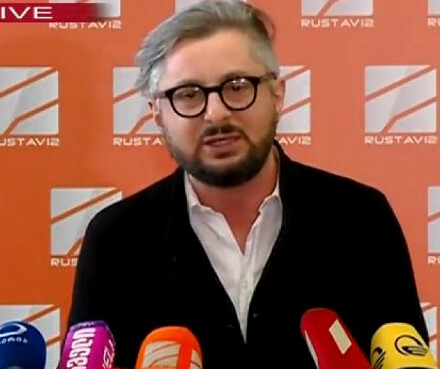 ‘We don’t want Rustavi 2 to belong to Saakashvili [former president with the United National Movement’s government] or Ivanishvili [former prime minister in the Georgian Dream’s government] or any other party’, Mr Akimidze underscored. Another point is that the channel should never become a ‘side’ in the political process; it should always be objective and critical. Finally, the agreement states that the company won’t receive financing from the state budget or political parties.